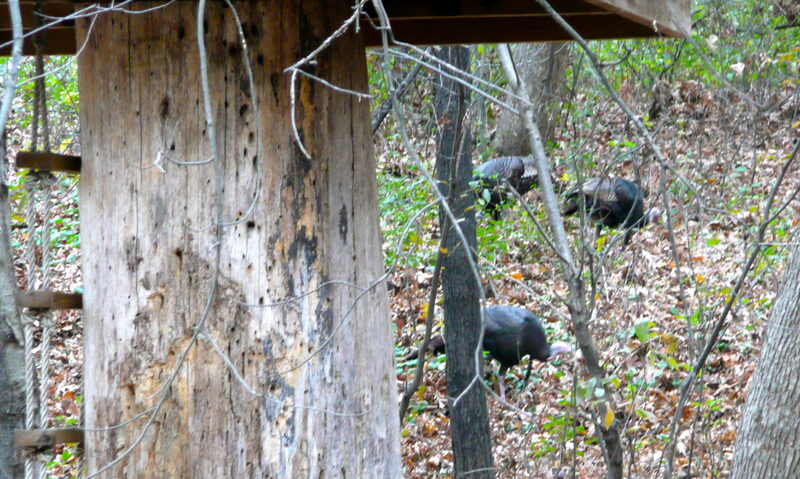 It’s almost Thanksgiving time and the wild turkeys in our neighborhood have returned. They peck-peck-peck away at the piles of leaves in our yard. I wonder what they’re looking for? I never realized that turkeys can fly but apparently they can. I remember an episode on an old sitcom called WKRP where one of the employees threw live turkeys from a helicopter over a shopping center as a Thanksgiving giveaway. These turkeys (which are domestic) died though. The turkeys never let me get near enough to take close-ups of them. Better be careful turkeys — hunters might get you.